David Austin Bred Patio Rose 'Munstead Wood' (Rosa Ausbernard) Winner of the RHS Garden of Merit is a highly recommended English Rose by David Austin and a sought-after deep purple & crimson flowering variety. 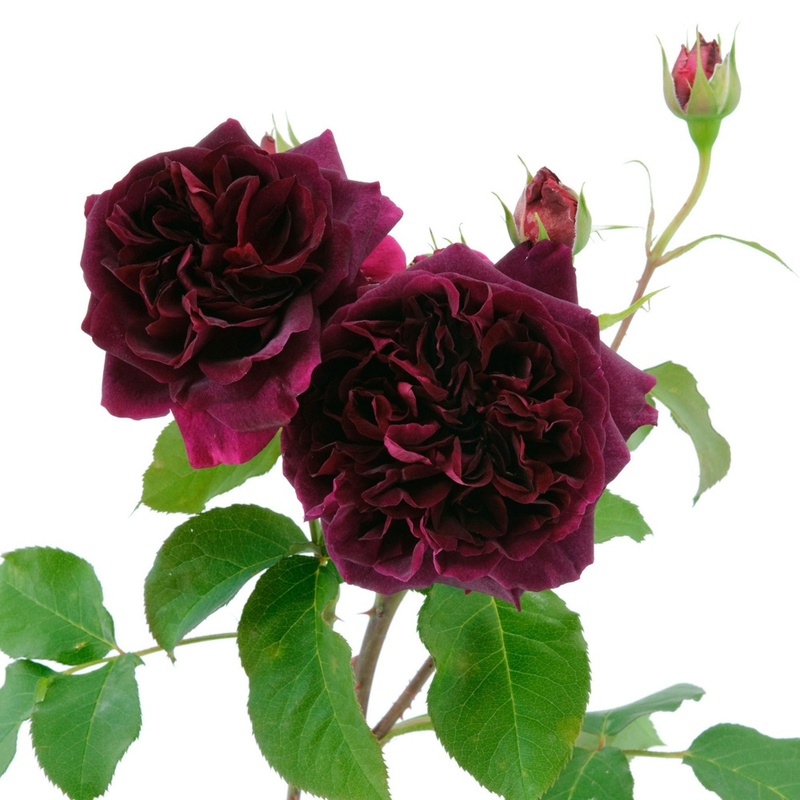 The stunning flowers of this variety are in fact light crimson in the bud but, as the centre gradually reveals itself, it becomes a very deep velvety purple while the outer petals remain rather lighter in colour. 'Munstead Wood' is dedicated to the memory of Gertrude Jekyll’s own garden in Surrey where she worked on her many gardening books. Classed as a 'Shrub Rose' the growth can be quite bushy, forming a broad shrub with good disease-resistance. 'Munstead Wood' offers exceptional fragrance from repeated flowering providing a strong and fruity aroma. Ideal variety for pots & containers. Lovely rose delivered in person by a very friendly man.